Judy Hopps dreamed of being a police officer in Zootopia since she was in grade school. Despite the naysayers in her family and community, Judy makes it to the Zootopia Police Department (ZPD). Judy becomes the 1st bunny on the force due to a new integration program. On her first day, Judy’s excitement becomes quenched when Chief Bogo, a buffalo, puts her on traffic duty, while the missing predators case go to other officers. Judy takes her new position as a challenge. Instead of getting 100 tickets in 1 day, she decides to get 200 tickets by noon. 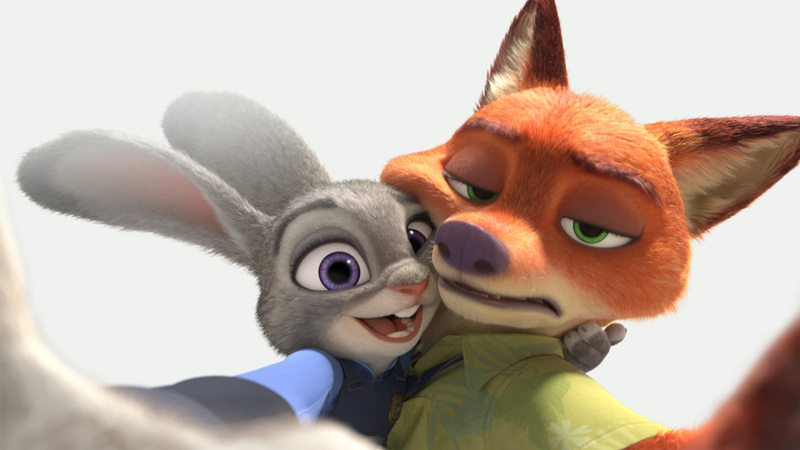 On her beat, Judy runs into Nick Wilde, a sly fox with a unique hustle. Later, Judy intercepts a meeting between Mrs. Otterman, an otter, and the Chief. Mrs. Otterman is worried because her husband has been missing for days, Judy offers to help when the Chief won’t. The Chief, feeling angry and disrespected, gives Judy 48 hours to solve the missing otter case or leave the force. This movie mixes the buddy cop comedy of Ride Along 1 with the political satire of X-Men and the love of Disney. It pulls of complicated subject matter like prejudice, profiling, and discrimination for children, without naming it. It is an easy laugh for all adults using Zuber and the DMV. Its a great way to start a conversation with your children or each other. With it’s vivid graphic, Zootopia will be a ride at Disney Theme Parks. This movie is a must see, however 3D is not necessary.